Accepted in Virginia and nationally. Each course includes: All course materials, guaranteed acceptance anywhere in North America, 100% money back guarantee. Our ACLS, BLS & PALS courses follow the new 2016 AHA Guidelines for CPR & ECC. These courses offer up to 8 CME/CE credits (including AMA PRA Category 1 Credit™) per course and are certified by Postgraduate Institute for Medicine. The test is multiple-choice format and covers patient scenarios and general course knowledge. The test has no time limit and there's no hassle of working around a classroom schedule. We do include the skills checkoff paperwork so you can review with a supervisor or local skills instructor. You will receive your provider card after passing the online exam. Complete the skills form separately. This card certifies that the individual above has successfully completed the COURSE NAME course requirements and cognitive evaluation in accordance with ACLS Training Center curriculum and American Heart Association® guidelines. Our cards have been accepted in every US state and Canadian province, and over 60 countries in the Eurozone, Asia and Africa. Our 100% money-back guarantee is good for 3 months and we guarantee your employer will accept our card and you will be satisfied. 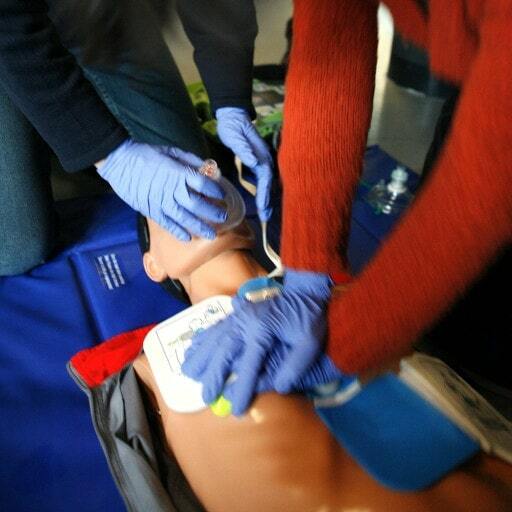 Our ACLS, PALS and BLS courses are each certified for up to 8 AMA PRA Category 1 Credits™. We are the world's ONLY company that can provide AMA PRA Category 1 Credit™ without a skills test. Some of our courses also offer ACPE, ANCC and ADA credits. Our toll-free number is 1-877-560-2940 and email is support@acls.net . Staff members are available to assist you Monday to Friday, 7am to 4pm PST. Yes, our courses can be used for both certification or recertification. If you have taken a course (with us or another training center) since 2011, choose recertification. Otherwise, please take the complete certification course. Will I receive an American Heart Association® ACLS card? We are an independent training company and our logo is on the top of the card as we are the training center. The card you receive will say inside that this course follows all American Heart Association® guidelines. The certification period lasts for 2 years, at which point you’ll need to successfully pass the online ACLS exam again. We will send you information about any missed questions and you have 3 attempts to pass the exam included.